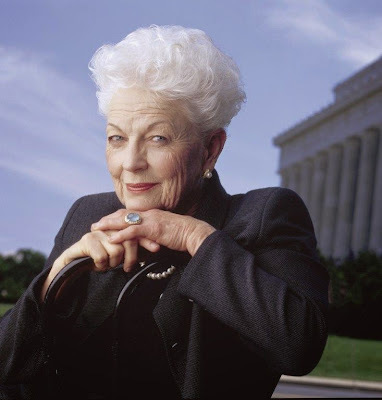 Ann Richards was the first female governor of Texas. Photos courtesy of Tribeca Film Festival. “Poor George, he can't help it — he was born with a silver foot in his mouth,” Ann Richards famously observed about George W. Bush. The political stalwart had a way with words and will be forever remembered by so many for that quip made during her keynote address at the 1988 Democratic National Convention. The late former governor of Texas was well-known for her quick wit, but there was much more to this trailblazer as revealed in “All About Ann: Governor Richards of the Lone Star State” from Keith Patterson and Phillip Schopper. The film has its world premiere at the 13th Annual Tribeca Film Festival on 18 April, the first of three screenings. TFF2014, which runs from 16 April to 27 April, opens with Time is Illmatic. Speaking of music, before Prince, Micheal Jackson and countless other reverent imitators there was "the hardest working man in show business" aka James Brown. In “Untitled James Brown Documentary” from director-writer Alex Gibney, is a portrait (1933-1974) of the legend and the man. Another noteworthy documentary is Bert Marcus' “Champs.” Here is a behind-the-scenes look at how Mike Tyson and Evander Holyfield, among them, literally fought their way out of poverty. The two champs will be around to jaw after the screening. 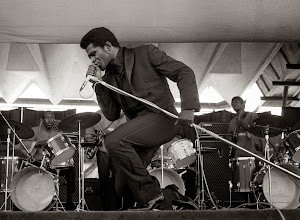 James Brown at the Newport Jazz Festival. Also included in Film for All Friday is Gia Coppola's directorial debut, “Palo Alto,” starring James Franco and Emma Roberts. Based on Franco’s “Palo Alto: Stories,” it concerns teen angst in that California city. Closing out TFF2014 is Begin Again, John Carney's comedic meditation on a chance meeting that spawns a beautiful relationship. It stars Keira Knightley, Adam Levine, Mark Ruffalo and Hailee Steinfeld. Visit http://www.tribecafilm.com/festival to learn more about it and the 2014 Tribeca Film Festival, including tickets and schedule.